Garry Jennings is Executive Director of Sydney Health Partners, and Adjunct Professor of Medicine, Monash University. He was previously Director of Baker IDI Heart and Diabetes Institute. 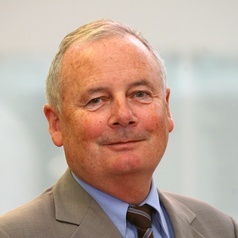 He is Past President of the Association of Australian Medical Research Institutes (AAMRI), and of the High Blood Pressure Research Council of Australia and Head, WHO Collaborating Centre for Research and Training in Cardiovascular Health. A cardiologist, he was previously Director of Cardiology at The Alfred Hospital, Melbourne and Chair of the Division of Medicine and remains active in clinical cardiology at The Alfred. In over 500 research publications he has reported discoveries on the mechanisms, prevention and treatment of cardiovascular disease especially with exercise, hypertension and on the sympathetic pathophysiology. He has published books on heart disease for the general public and is a regular media commentator on health and policy issues. He iwas Founder and Chair of Nucleus Network, a subsidiary of Baker IDI and a member of the Boards of National Heart Foundation of Australia, Research Australia and AAMRI, Trustee of the Asia Pacific Society of Hypertension and of the Foundation for High Blood Pressure Research and President of the 2012 International Society of Hypertension scientific meeting.